Here you will find lots of useful information for your holiday in Monte Gordo, in eastern Algarve, Portugal! See how to get to Monte Gordo from Faro Airport by transfer, bus or taxi and how much it costs, print off useful telephone numbers to take with you on holiday and see where the tourist information office is. There is also information about the supermarkets in Monte Gordo and the times of Mass at the local church. Plan your journey from the Algarve's international airport in Faro with our Monte Gordo travel information! Transfer from Faro to Monte Gordo by Taxi: 60€ / 72€ for a 4 or 6 seater Mon-Fri 6am-9pm (77€ / 92€ outside this time and bank holidays). Book Algarve car hire to travel to Monte Gordo! If you want to book Algarve car hire to travel to Monte Gordo then it couldn't be easier! 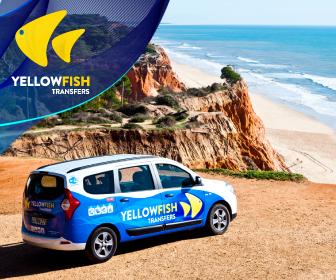 Simply collect your car from Faro Airport and drive along the scenic route to eastern Algarve either down the A22 motorway (a toll road) or down the secondary N125 road.